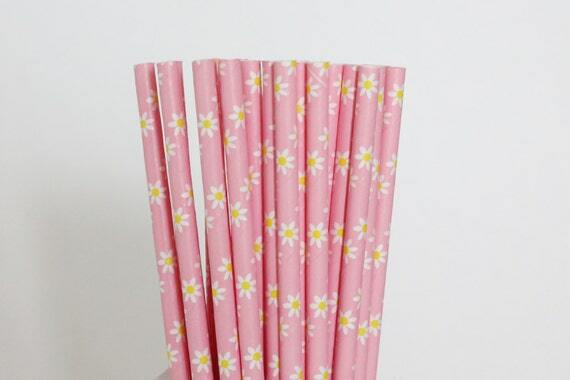 Pink + White Daisies = a perfect PAPER STRAW. These paper straws are great for weddings, mason jars, birthday parties, baby showers, bridal showers or anytime you need to add some style to your party or get together! You can also use them as sticks for cake pops.